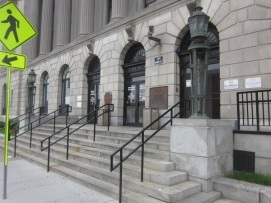 The attorneys of LS&P Lawyers have been representing individuals in Newark Municipal Court for over 35 years. We appear there frequently and have become familiar with the personnel and procedures. If you were arrested or issued a summons in Newark, please contact us for assistance. We understand that people make mistakes and we are here to help. Why do I have to appear in Newark Municipal Court? The Newark Municipal court has limited jurisdiction. This means the court only has the power to hear disorderly persons cases, DWI cases, and traffic violations. A disorderly persons offense is the least severe of criminal offenses in New Jersey. Some examples of a disorderly persons offense are possession of less than 50 grams of marijuana, possession of drug paraphernalia, disorderly conduct, obstruction, criminal mischief, shoplifting etc. Common traffic offenses in the area include speeding, driving without insurance, reckless driving, and leaving the scene of an accident. Although these cases are heard in the “local” municipal court they should still be taken seriously. At first breath they may not seem very severe, but if you are convicted the consequences can be devastating. Heavy fines, a criminal record, a suspension of your license, and even jail-time can all result from a guilty verdict. DWI convictions are even more unforgiving, so it is essential for you to seek experienced and aggressive legal representation. Our attorneys have years of practice with these kinds of cases and will know how to handle your charge. One of our attorneys even has advanced training in the Alcotest and Field Sobriety Test, both of which are methods used by police to determine if you were intoxicated while driving. Very few attorneys in the state have this sort of training, which can be used to find irregularities in the officer’s performance of the test. This weakens the State’s case and improves yours, so if you have been charged with a DWI you should contact us immediately. This court is presided over by Hon. Richard A. Nunes. He received his law degree from Seton Hall University in 1995. He was sworn in January 2011 and has been Acting Chief Judge since 2008. Newark is a city of 277,000, the largest in New Jersey. A very densely populated city, Newark has high rates of violent and property crime, especially robbery and theft. Newark also has a sizable youth population, with 25.6% of the population under the age of 18, so many disorderly persons offenses commonly associated with teens occur, such as possession of less than 50 grams of marijuana, underage drinking, simple assault, criminal mischief, etc. The New Jersey Turnpike, Garden State Parkway, I-78, and Route 1 also run through Newark, all of which are extremely popular roadways. Traffic stops are common on these roads, and traffic tickets and DWI arrests are made regularly. Whatever your charge may be, the lawyers of LS&P Lawyers will represent you assertively in court. They will use their knowledge of the law and court to better your defense. If you have any questions or concerns, contact our offices right away. We are located at 123 North Union Ave in Cranford, NJ 07016 and are available for free consultation. You can call us 24 hours a day seven days a week. We will put you in touch with one of our expert attorneys and you can be certain that we will focus our efforts on your case.